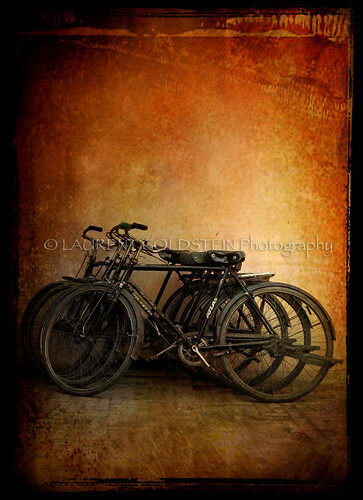 In India, the word "bike" generally means motorbike, and "cycle" means bicycle. Those bicycles are not ordinary ones. They belong to the people who are working with me, to those men who sometimes ride for 22 Km twice a day in order to come to our workshop. This workshop means a lot to all of us as it allows us to live but it also allows most of the people there to send their kids to school, to have a place to stay, to give to their families medical care whenever they need some. This is a place where all religions have to be together, where there is no more caste system (jati), where we all have the same values, where one depends on the other because there we are no more individuals but a one and only team. Season after season we became stronger, we learned a lot from eachothers. There we are all sharing the same values of brotherhood, of respect and of love. Day by day I keep on learning from all of them and I love to see those bicycles on the wall of my workshop every morning when I come to work there.